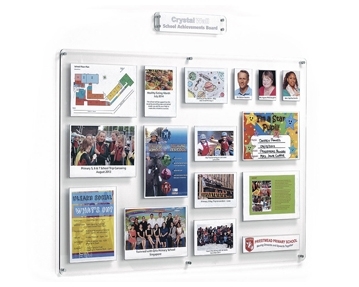 At Furniture At Work, we stock a wide range of office display boards. Regardless of what it is you want to put on show, you will be able to find exactly what you’re looking for in our collection. 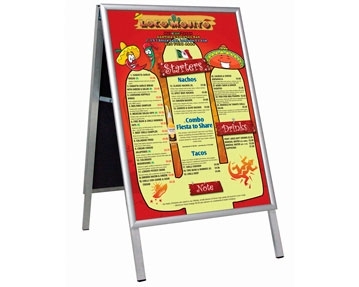 Our noticeboards are available in a variety of different sizes, so you won’t struggle to find the perfect fit. 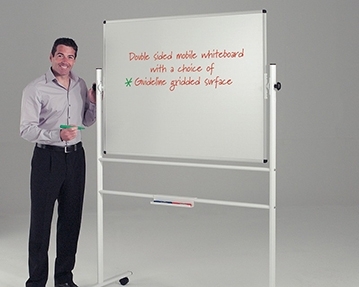 Whether you’re holding a training session or conducting a meeting, our Write-On® whiteboards could be exactly what you need. These traditional style, high quality boards allow you to make notes with ease. Simply write on the board using a marker pen and wipe it clean afterwards. When you shop with us, you can take your pick from magnetic and non-magnetic designs, as well as freestanding, revolving, double-sided and height adjustable models. 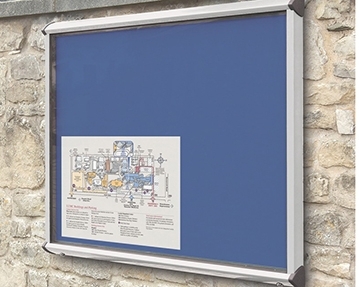 If you need to display information outside, our external display noticeboards could be exactly what you need. These wall mounted display cases allow you to present information outside, protecting it from the elements, including water and dust ingress. Our external display boards are available with aluminium and wooden frames, and you can even take your pick from a selection of stunning infill colours, such as red, blue, green and grey.